The internment camp, basically the strongest moment to ring out of issue 2 of this season. As the government goes nuclear on supernatural beings in the country suddenly the walls start closing in on everyone. 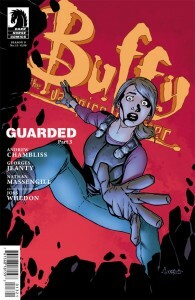 With Buffy standing firm to protect her friends and family it’ll be a rough ride ahead. 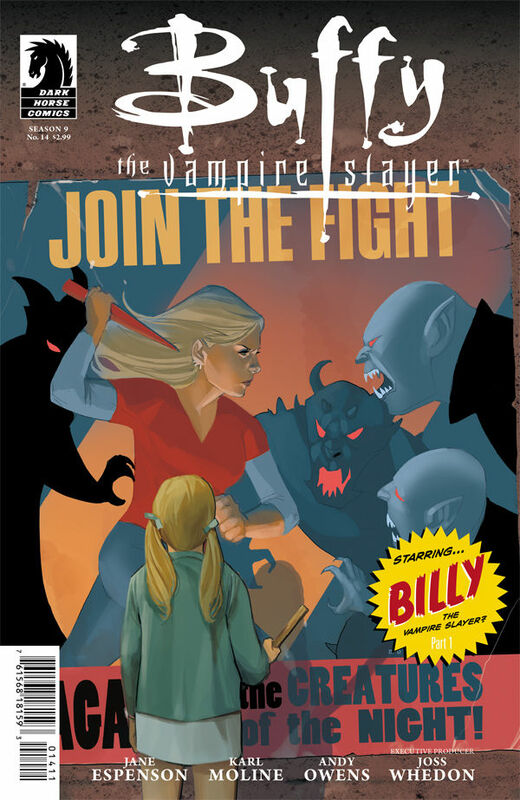 A House Divided dumps more problems on Buffy and the group, with new mandates from the government it’s only a matter of time before federal slayers come knocking on her door for those dearest. We see Buffy trying to micromanage the situation as much as possible and try to keep some control over what’s going down. Christos Gage paints a grim future for the group, even with their best efforts they can’t possibly keep the group going in the face of everything going on. We see Willow take a firm stand in her beliefs after the chaos in issue 2, knowing the dangers to those who even barely met her, she makes the sacrifices she needs to. Buffy and Spike also face their own wall, given vampires aren’t a magical exemption to the rule Buffy knows they’re coming. It’s a charged issue as the group makes decisions for the best of all their futures given their climate. Rebekah Isaacs does well to pull out emotion from each character through the panels as each of them carefully set the tone with the gestures displayed. Dan Jackson does well with intensity and playing on saturation to show the mood of the world and the emotion within each character with subtle shifts in the panels. It’s certainly not looking good, in this case the world or at least the nation might just be against Buffy now. We’ll have to wait and see what comes of all this next month. 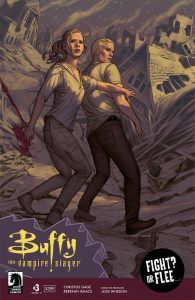 With Buffy facing an internal crisis of where she’s at in life as other celebrate new milestones and life moments, the world itself faces another crisis that has already left a dark mark on her city. 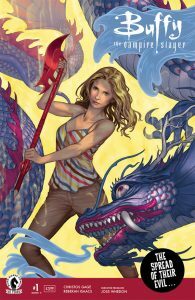 There really is never time for Buffy to just get a moment, and this tension and momentum carry into issue 2 as they try to sort out a Shenlong dragon attack after a massive tsunami strike. Tension really soars in issue 2, the entire gang is swept up in angry mobs, hate crimes and rising political problems that look to impact supernatural beings across the nation with knee-jerk legislation and actions. We see the cast split amongst themselves throughout the issue, Spike and Willow fearing for the worst while others hope to tread lighter paths in hopes the situation will not spiral out nearly as far. Old faces cross paths and social unrest rages on as the mystery behind the dragon drives everyone to the limit without an answer. Christos Gage really plays all angles here, the cast is struggling to stomach the potential future they face and the world gets very ugly in a short amount of time. Rebekah Isaacs does well in the chapter, only some of the panels gave a slight bump in the experience as thicker ink brought about weird inconsistencies. Dan Jackson plays between muted colors and careful splashes of vibrancy to highlight the actions and moods of each panel. Season 11 isn’t getting any easier, hopefully Buffy and the rest of the group can figure out how to keep it together. 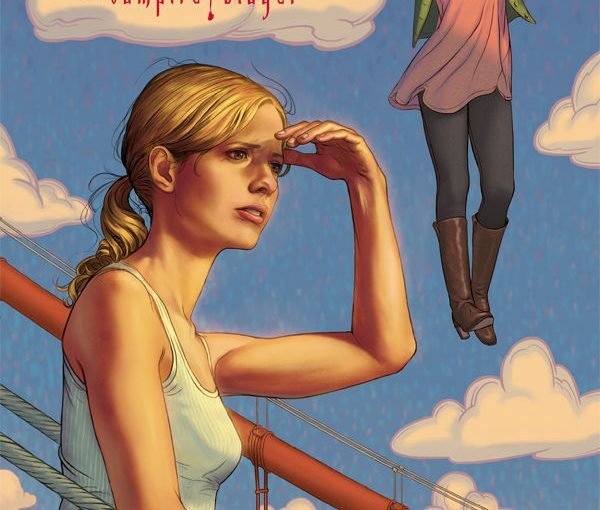 The San Francisco life is setting in well with Spike and Buffy, as they keep to classic staples of demon slaying while adjusting to life with a born again 13 year old Giles in the picture. Season 11 takes things into the life of Supernatural Consulting and solving darker crimes in the city, Xander and Dawn showing growth as they advance in their lives and relationship and Willow gets to set down some new roots starting a new Coven of her own. Sounds peachy, except it’s a Buffy story so there’s always more under the surface, bright exteriors crack and fade, showing a rougher side of things and new challenges are always waiting. 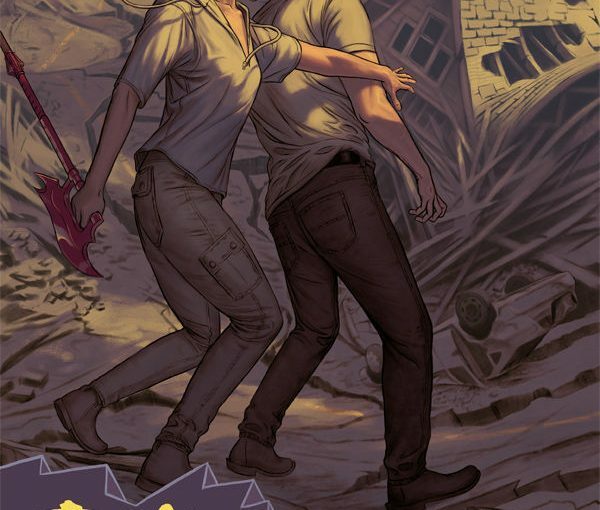 Legends emerge and chaos reigns, Rebekah Issacs paints the pages of issue 1 with rubble and chaos, with help from Dan Jackson the pages come to life with atmosphere and action that flow seamlessly once things really turn bad. Christos Gage wastes no time playing with the main cast, pulling at their strings not only to send them into action and set each stage up, but also pulling at their hearts to continue to allow us a window into the voices that nag at them when they operate between those battles. Rebekah Isaacs compliments those character moments while also developing the atmosphere in each panel, on the rooftop we see strong gestures of action contrasted with worry and urgency and it’s an enjoyable blend in a season opener. Hopefully the rest of the season carries the momentum and keep feeding new twists along the way. 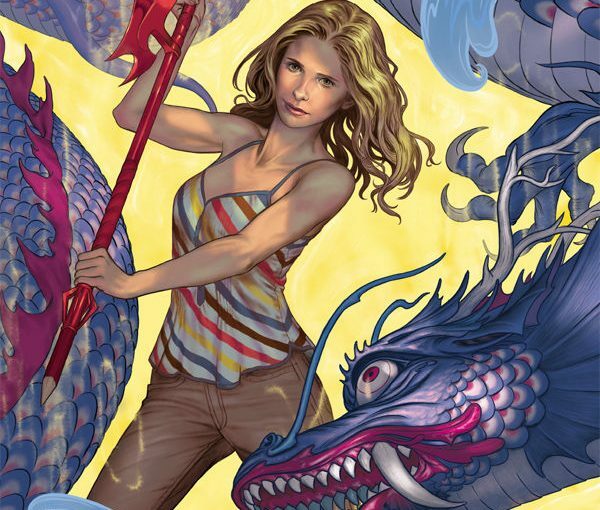 Being a vampire slayer was never easy work, as Buffy celebrates 20 years on the job we’re treated to a new release of Parental Parasite helmed by Joss Whedon, Kel McDonald and Yishan Li. The brief teaser leads on with a sudden interest by Joyce in everything that Buffy has going on in her life. This sudden shift along with school, life and that slayer life makes for a complicated situation, couple that with Joyce falling under hypnosis from a demon that wants its own mother and this all just becomes a little much for the Vampire Slayer. 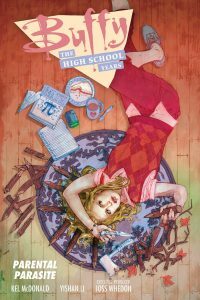 Buffy: The High School Years – Parental Parasite goes on sale June 28th and is available for preorder. 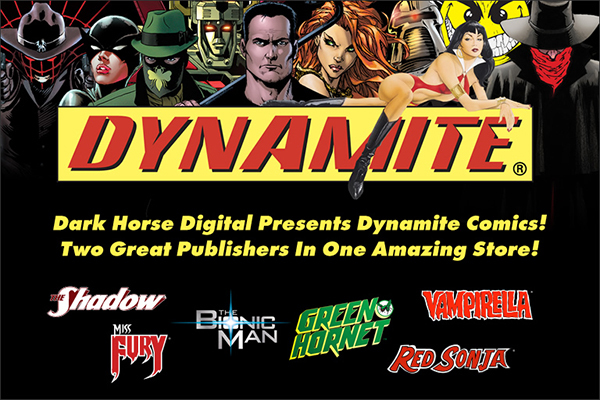 DARK HORSE DIGITAL HITS TWO-YEAR ANNIVERSARY To celebrate, Dark Horse proudly welcomes Dynamite Entertainment comics to its digital store! Dark Horse Digital reaches a new landmark, turning two years old this coming weekend. To thank its loyal fans, Dark Horse announces two special anniversary promotions, as well as huge news that will change the digital-comics publishing landscape forever. Dynamite Entertainment has inked a deal to include its comics digitally through the Dark Horse Digital store and apps. 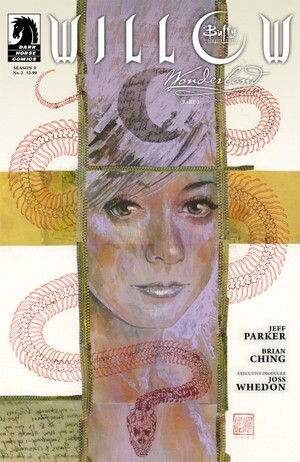 Thirty single issues and more than twenty collections are available for purchase today! New titles will be added weekly, with all upcoming Dynamite releases available digitally the same day as print. “We’ve been looking for ways to expand our digital presence, and this is our first step to building an even more robust library of digital comics,” said Dark Horse President Mike Richardson. “We’re proud to add Dark Horse Digital to our retail partners selling our digital titles to their audience. Our wide range of titles, from Vampirella to Battlestar Galactica, Grimm, The Shadow, Red Sonja, and many of our other Dynamite titles, are a perfect fit for the large audience who purchase Dark Horse titles. We’re thrilled to work with Mike and his team at Dark Horse Digital on this new endeavor and excited about new opportunities to come,” added Nick Barrucci, Dynamite Entertainment’s CEO and publisher. As a sign of appreciation for its loyal digital subscribers, Dark Horse Digital announces that fifty free first issues from many of its best-selling series will be available for the next forty-eight hours (promotion ends Friday, April 26, at 9 a.m. PST). Starting Friday morning and throughout the weekend, Dark Horse Digital is offering 10 percent off all bundles in the web store! And confirmed newsletter subscribers will receive an additional coupon! The newsletter coupon stacks with the bundle discount, offering even greater savings. The sale starts this Friday, April 26, and ends Sunday, April 28, at midnight PST—so head over to Dark Horse Digital and sign up for the Digital Newsletter to maximize the discount. Dark Horse Comics launched its standalone comic-reader app and digital store on April 27, 2011, and has received incredible support from the continuously growing digital-comics fan base. Since then, Dark Horse Digital has grown significantly in numbers and readership by featuring its most popular and best-selling titles, including Star Wars, Buffy, Serenity, Hellboy, Conan, and Mass Effect, as well as exclusive digital-only comics such as Falling Skies, Prototype 2, and Dragon Age. 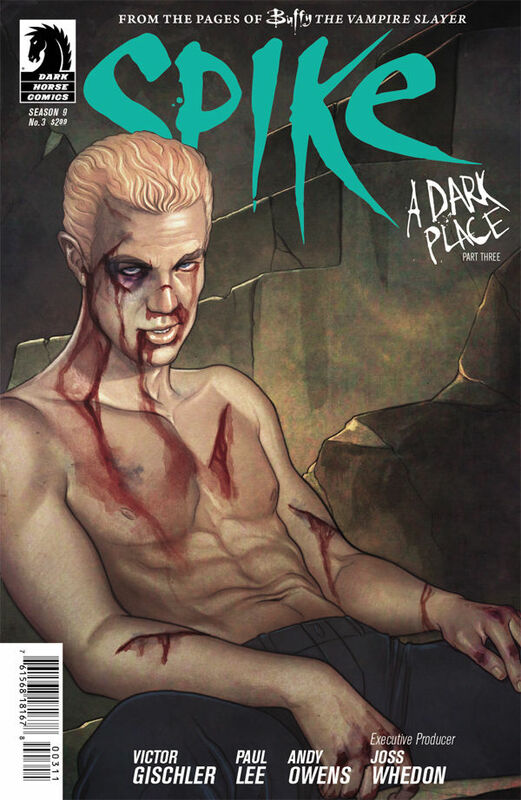 Dark Horse Digital also provides sales and discounts for its readers on a weekly basis. It currently offers thousands of comics and continues to increase the digital availability of the Dark Horse back catalog. Dark Horse Digital is available through all modern web browsers and features cloud storage through both the Google Play and iOS apps. For additional information, check out the exclusive interview with Dark Horse President Mike Richardson and Dynamite Entertainment’s CEO Nick Barrucci on Comic Book Resources! Posted on April 24, 2013 Author Anthony DavisCategories Comics, News, Press ReleaseTags Buffy, Conan, dark horse, Dark Horse DigitalNick Barrucci, Dynamite Entertainment, hellboy, mass effect, mike richardson, Serenity, star warsLeave a comment on DARK HORSE DIGITAL HITS TWO-YEAR ANNIVERSARY To celebrate, Dark Horse proudly welcomes Dynamite Entertainment comics to its digital store! This issue begins with two teenagers, a boy and a girl, hanging out talking about love, life and everything in between. We soon find out that life is not so great for the boy, Billy. Billy is gay, a teenager and like a lot of kids in his situation gets tormented regularly for being “different”. Billy has the support of his grandma but she seems to be one of the few people in his life that is. 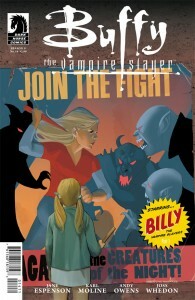 While Billy’s trying to find his place in the world, Zompires are multiplying like bunnies! Billy soon meets some Zompires and all does not go great, but he is aided by a boy who Billy has watched from afar for some time. A plan is concocted and for the first time a potential Slayer is not chosen and not a girl. Billy is a likeable character and you instantly feel sympathy for him and his plight. The concept of a male Slayer has always been interesting and I like that it comes about in a different way that doesn’t follow Slayer lore. The writing is excellent but it is Jane Espenson so that’s not a really big surprise since she is so amazing! The art is also great and really succeeds in capturing the anguish Billy is feeling. This was a solid read and I like the twist of the male Slayer! This issue begins with a flashback, Pearl (of Pearl and Nash fame) has just spent a “romantic” evening with a demon, who after their romp, thinks she needs to die. After Nash fails at rescuing her, the ever gallant Spike (joined by Dru) arrives. However, more than chivalry this is mainly just coincidence, this particular demon happens to owe Spike cash and the demon’s inevitable demise just happens to save Pearl in the process. Cut to present day where Spike, Pearl and Nash just happen to run into each other but, Spike who is running low on patience, tangles with the terrible twosome. Finally away from danger, Spike and his bug crew are joined by their new mystery gust Morgan. They set off into space to their next destination, a hell mouth. The bugs are none too happy with the new plan and they do not hesitate to let Spike know; however, Spike as captain of this boat want to stay on course. Luckily the bugs suspicions have got Spike thinking and he decides to do some investigating of his own. Spike and Morgan have a long chat and she explains who and what she is, while this puts Spike at ease the bugs are still not convinced! I think out of all the Buffyverse titles the Spike series thus far represents the feeling and voice best. I have enjoyed all the titles but this one seems to have a lot of the elements that give you that Joss feeling and this issue is no exception. Spike is really captured amazingly and perfectly. I also really love the bugs, they have a lot of personality and really add humor and heart. 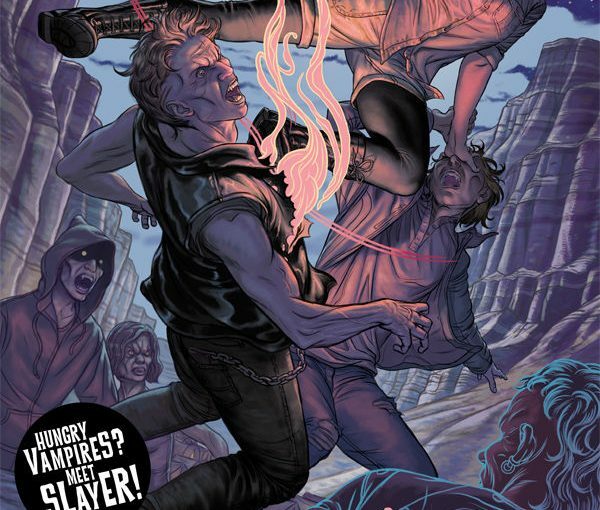 I really enjoyed this issue and I think fans of all things Buffy will as well! Willow, in a magical wonderland with her new friend Marrack, is in a fight with a big nasty who almost gets the best of Marrak before Willow works her magic mojo. With the nasty inevitably meeting a particularly gruesome end she now has to deal with a snide caterpillar who is quite pissed at the mess she has left behind. Soon into her journey Willow starts meeting some interesting creatures, some of which are good and others that are very bad. Willow quickly learns that she has quite a reputation when she meets up with an old friend. She thinks she has found what she has been looking for but is disappointed in the results. Will she find the answers to restore magic in the world or is the journey hopeless? I really like this Willow series, she has always been an interesting character and she has always been deserving of a more concentrated storyline. Her voice is captured nicely and the art is beautiful. The story itself is progressing at a nice pace and the extra characters have proved to be pretty interesting thus far. 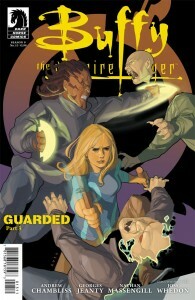 I enjoyed this issue, it is definitely an entertaining read and obviously a must read for Buffy fans! 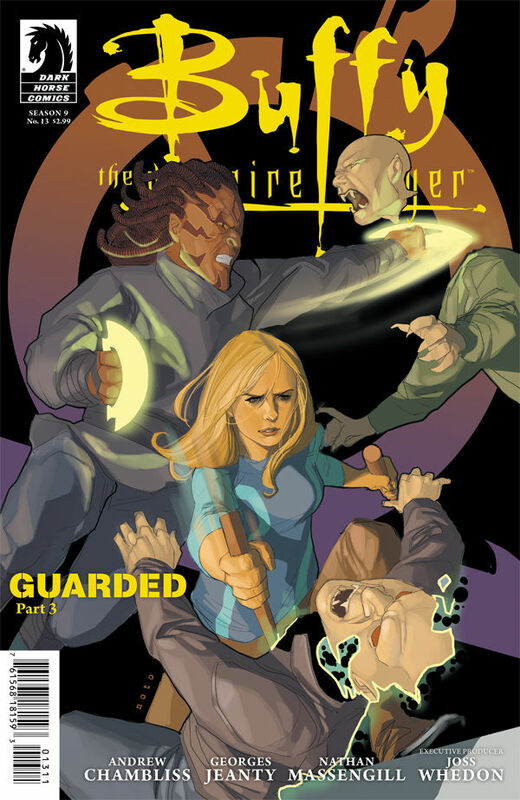 Buffy’s in a standoff with the demon and one time ally Koh who, unbeknownst to Buffy, has turned on her and is in cahoots with Wolfram and Hart. Koh has agreed to kill Theo, creator of TinCan, the social networking site of demons everywhere as long as he is given the information on who imprisoned him a long, long time ago. Buffy, who is doing her best to reason with Koh is having no luck and finds herself in a very tense situation. Theo tells Buffy that she must leave him and destroy TinCan instead of saving him which she reluctantly does. On her new mission, Buffy finds Kennedy who has a big bump on her head courtesy of Koh’s over-exuberance. Some not too friendly words are exchanged between the two women (as well as some punches) before they devise a plan to save Theo. Will they save Theo’s life and will TinCan finally be destroyed stopping Wolfram and Hart’s evil plans (at least for now)? 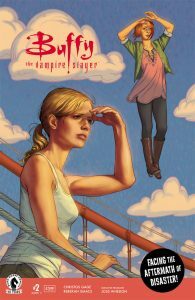 Most importantly, has Buffy found her new calling and will she leave saving the world in the past for the prospect of some fat paychecks? This issue is good but unfortunately I don’t care for a lot of the main characters. Theo and Kennedy are not particularly likeable or entertaining and Koh has potential but never seems to get there. 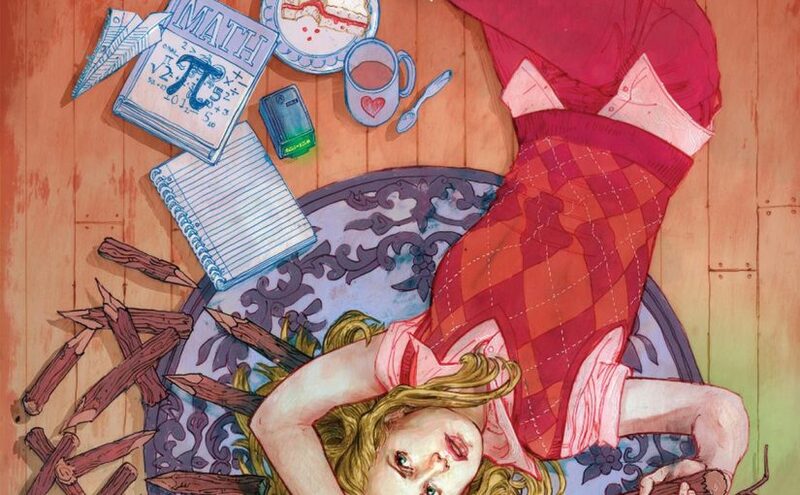 Buffy needs to find herself quick because this little girl lost act is going on too long (in all fairness she may have figured it out in this issue). Without Buffy’s supporting cast something just feels like it’s missing. There hasn’t even been a mention of Xander or Dawn. I know Spike’s off finding himself, Willow’s trying to restore magic with Angel and his crew but Buffy seems to have no one. She’s pretty much alone and it’s kind of sad. 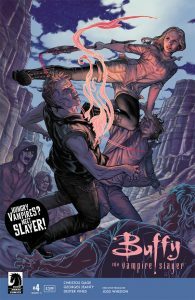 The writing and art are both very good but I think Buffy’s voice has gotten a little lost along the way. I’m not ready to give up yet but I think the comic needs a little tweaking here and there to get back on course.